Oh baby, does Kate Aspen have a shower favor worth giving! Our custom 9 oz. stemless champagne glasses are available in a number of different imprint colors and designs. 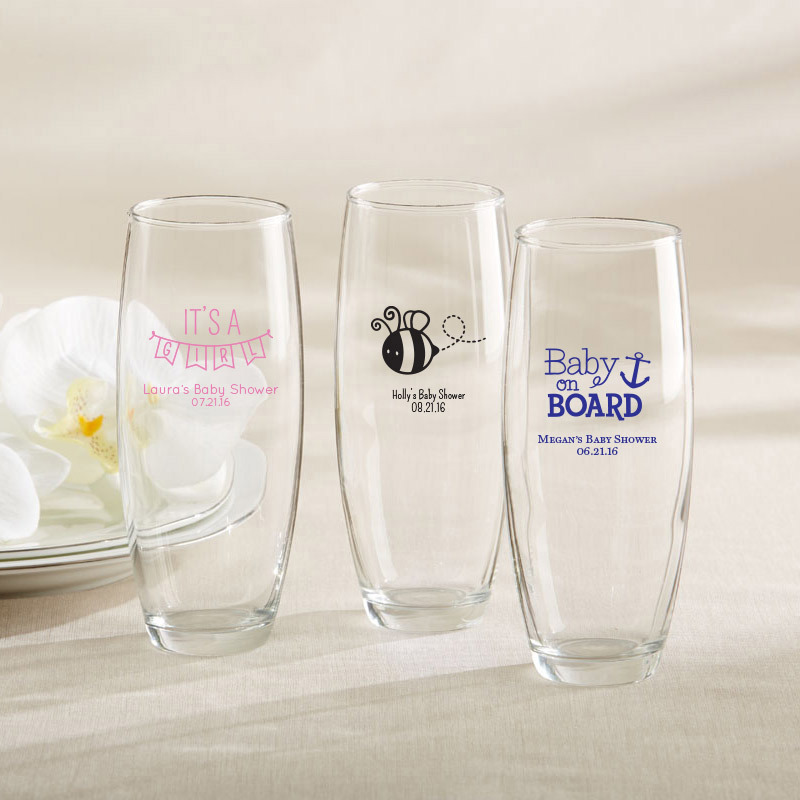 Personalize with the name and birth date of your new little bundle of joy for a beautiful baby shower favor. 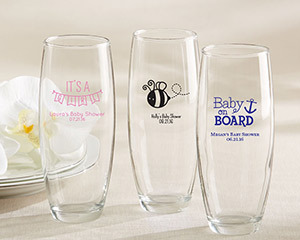 Choose from a variety of baby shower designs and colors.